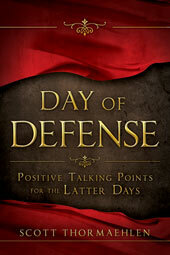 Day of Defense primarily draws from Biblical sources to initiate an understanding between Mormons and all Bible believers on topics that are sometimes controversial or are often misunderstood. Below are links and sources that provide additional information for red flags or misconceptions that Day of Defense does not cover. For the interested reader, I refer the following. The 12 essays that follow were published by the Church of Jesus Christ of Latter-day Saints to provide transparency and context for several controversial topics. Gregory L. Smith, “Everything You Always Wanted To Know About Plural Marriage (*But Were Afraid to Ask)”, FAIR Conference presentation (7 August 2009). Spencer J. Palmer. Mormons and Muslims: Spiritual Foundations and Modern Manifestations. Covenant Communications, Inc. 2002. Ash, Michael. Shaken Faith Syndrome. Deseret Book, Salt Lake City, UT 2008. Bickmore, Barry R. Restoring the Ancient Church: Joseph Smith and Early Christianity, Foundation for Apologetic Information & Research 1999. Griffith, Michael T. Signs of the True Church. Horizon Publishers, Bountiful, UT 1989.